In this Make & Take you will create this super cute terra cotta bird feeder! You will have the option to create it to hang from a tree, or to sit on something such as a deck or fence post. 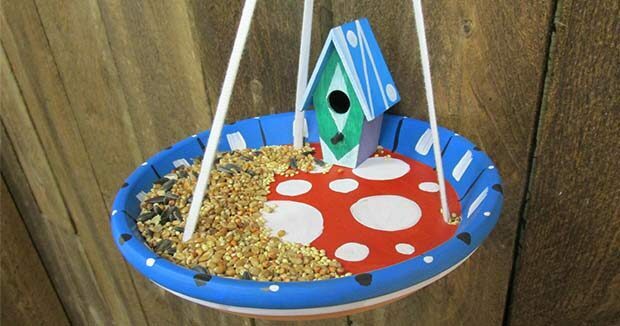 Included with this project is a terra cotta plate, wood birdhouse, paint, glue, string and ring to hand the feeder. We also provide a small bag of birdseed so you can set up your feeder when you get home! Having a bird feeder in your yard has many benefits! our province and watching their behavior! feast on the insects, worms, snails and spiders in your landscape! but they assist with flower pollination. attract them to the natural food sources in your landscape, including weeds. individuals with limited mobility or young children to get their first exposure to nature.